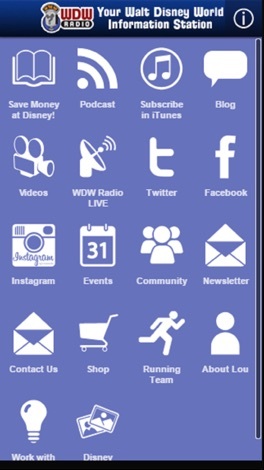 Bring the magic of Walt Disney World and the Disney Parks to your iPhone or iPad with the free WDW Radio Disney Podcast app. WDW Radio is the award-winning online radio show dedicated to celebrating the magic of Walt Disney World. It is brought to you by Lou Mongello, the author of the Walt Disney World Trivia books & Walt Disney World Audio Tours and host of the WDW Radio Disney podcast. The unofficial "Walt Disney World Information Station," WDW Radio has been named Best Travel Podcast for 2006, 2007, 2008, 2009, 2010, 2011, 2012 and 2013, and you can easily stream the show right to your mobile device and subscribe for FREE in iTunes! This family-friendly show covers Walt Disney World news, Disney vacation planning, Disney World reviews, Disney trivia, Walt Disney World dining, Disney hotels, history, fun facts, contests and features exclusive interviews with Disney Imagineers, executives, celebrities and more. 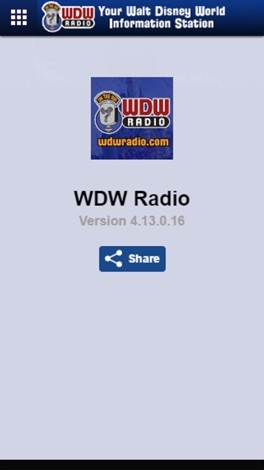 Join us for WDW Radio LIVE video broadcasts from in-studio and in the parks Wednesdays at 7:30pm ET! Chat real-time with Lou, special guests and other listeners! Join Lou and other Disney fans for Meets of the Month in Walt Disney World, as other special events around the country, on the Disney Cruise Line, in Disneyland, and more! Chat with other Disney fans in our free, online discussion forums. Get involved in the conversations, play games, and follow the latest Disney news. Little Weebo is a side-scrolling puzzle-platformer that uses one button control to navigate your team from the start of a level to the exit.